OverviewA 2D fighting game co-developed by doujin circles Type-Moon and French-Bread based off of the visual novel "Tsukihime". Act Cadenza was the first arcade port of the series, and would later see a release on the Playstation 2 on August 10, 2006. Now you can add videos, screenshots, or other images (cover scans, disc scans, etc.) 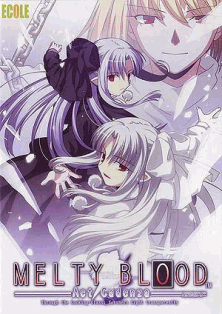 for Melty Blood Act Cadenza Ver. A (Japan) (GDL-0028C) to Emuparadise. Do it now!